A common misconception is that drug users can simply stop taking the drug and that they are choosing to live a life negatively impacted by substances. However, this is not necessarily the case because a Drug Addiction is a chronic disease and the drugs themselves can prevent people from giving them up. Those with Drug Addictions abuse the use of drugs compulsively and too frequently despite the dangerous ramifications. Using drugs consistently can result in neurological changes that make it difficult to avoid using these substances. It is because of the way that drugs interact with the brain, in addition to genetics, that people get addicted to drugs. People typically begin to abuse substances because most drugs cause an influx of dopamine, which creates a state of euphoria. A drug user’s tolerance will build as they take more of the drug and this is when an addiction can be harmful. Those using drugs typically have problems at work, with money, and with mental and physical health. Additionally, Drug Addictions can affect learning, behaviour, and decision-making, and they can also be life-threatening. It is critical to seek therapy in order to prevent these consequences. What are the symptoms of a Drug Addiction? What are the most common types of Drug Addictions? Psychologists are trained to treat addictions by altering the way in which people think. Therapy has proven to treat many individuals with addiction issues. Addiction therapy is appealing to many clients because it does not necessarily require medication. Your therapist will begin by assessing the degree or intensity of the addiction. Next, your therapist will search for the root of the addiction, whether it is genetic, psychological, environmental, etc. In identifying what triggers you into using the substance, your therapist will be able to provide you with alternative coping mechanisms and strategies. Therapy is a non-threatening method which has been proven to treat addictions while addressing other issues, such as mental health conditions. Types of therapy offered for a Drug Addiction at The Blue Tree Clinic? Our therapists are well-versed in treating addiction and have played a part in many success stories. 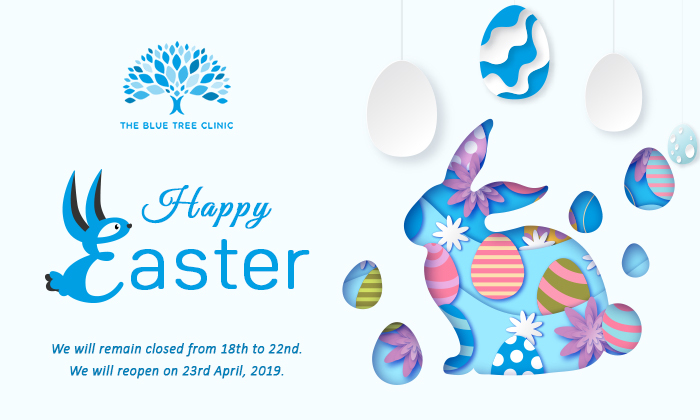 At The Blue Tree Clinic, our therapists focus on longterm treatment, providing you with lifelong tools to maintaining a healthy lifestyle, while also immediately targeting the addiction. We offer many different types of therapy to address a Drug Addiction so that you have the freedom to shape your therapy. The type of undivided attention that we are able to provide you with is rare to come across. We are available by phone and email during all hours of the day in order to support you at any hour in which you are tempted to use drugs. Don’t let substances dictate your life!